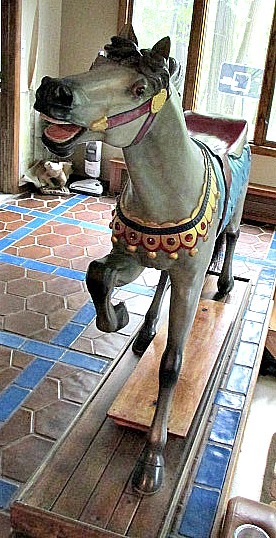 Carved by the Herschell Spillman carousel factory in North Tonawanda, NY, circa 1915, and professionally restored in 1990 by Carousel Works, Inc. Currently it resides in Holmdel, NJ. 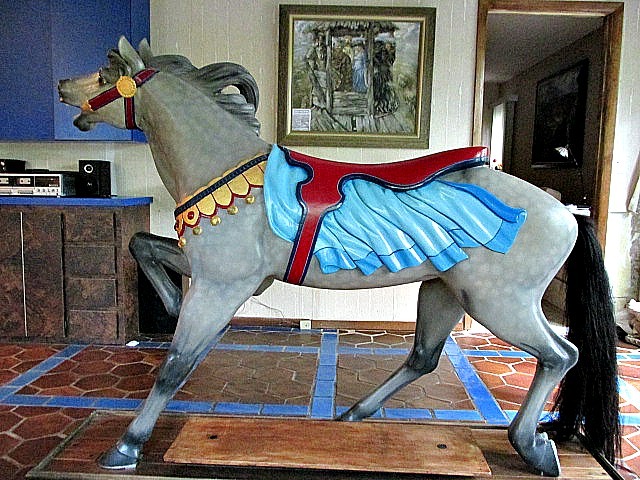 Length (rump to bust) - 48"
Though designated a stander this wood carousel horse is posed in an energetic pacing gait and presents in very good condition. The flowing mane has an unusual interstice, sometimes referred to as a peek-a-boo mane, and furnished with a natural horsehair tail. Purchased from Robert R. Kissel, on 4/14/90 for a price of $18,500. 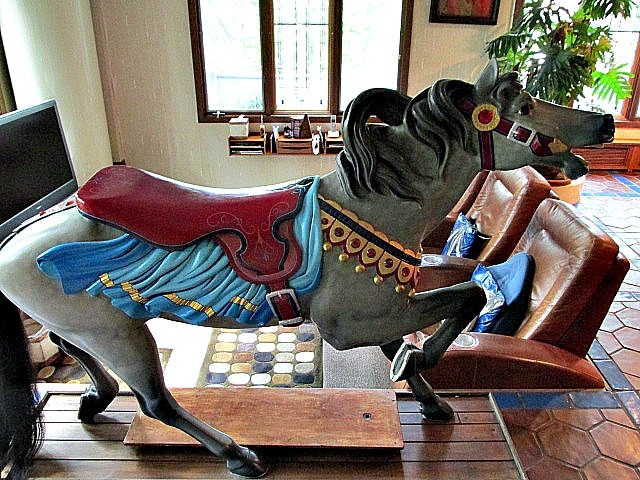 It was restored by Carousel Works, Inc. on 7/5/90 for another $1,800.